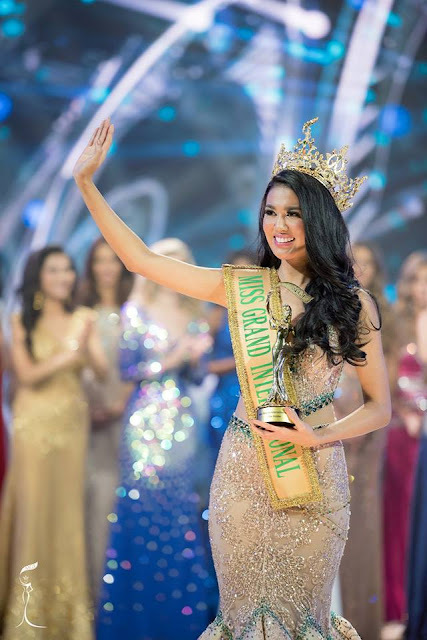 Ariska Putri Pertiwi, a 21-year-old medical student from Indonesia, was crowned Miss Grand International 2016 at the Westgate International Theater in Las Vegas, Nevada on Tuesday night, October 25th. 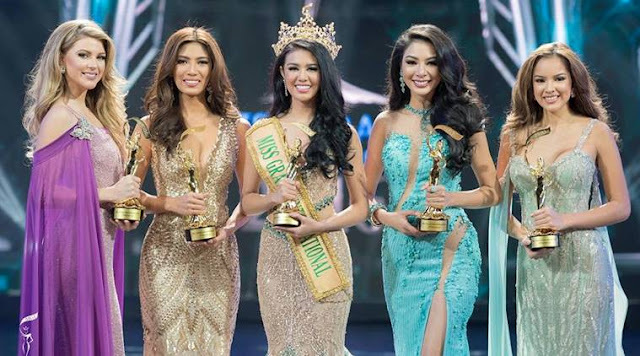 Seventy-two contestants competed in the fourth edition of the pageant which was held outside Thailand (its home base) for the first time. 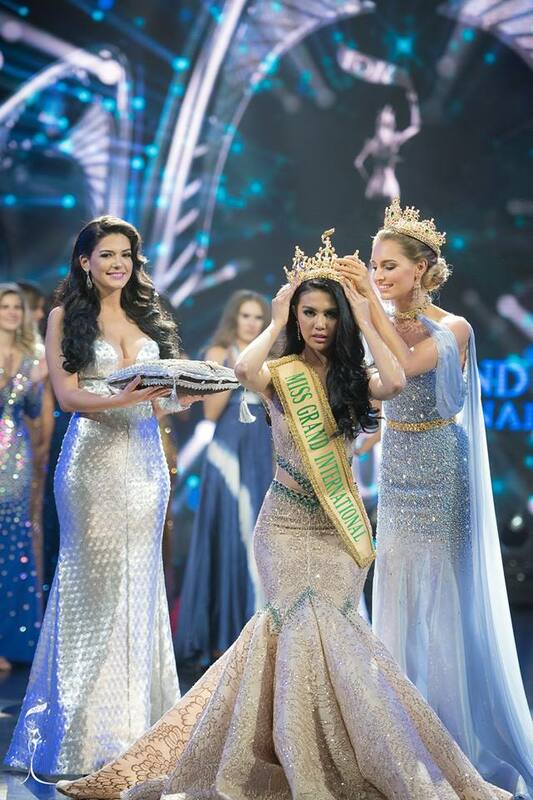 Pertiwi's victory marks Indonesia's first ever international beauty pageant title. She was crowned by the outgoing queen Claire Parker from Australia. The first runner-up is Nicole Cordoves, 24, a professional speech writer from the Philippines. The second runner-up is Supaporn Malisorn, 22, a business administration student from Thailand. The 3rd runner-up is Madison Anderson, 20, a fashion design student representing Puerto Rico but living in New York City. And the 4th runner-up is Michelle Leon, a 19-year-old community college student from New York. Completing the top ten were Selvinique Wright of the Bahamas, Hio Man Chan of Macau, Priscila Howard of Peru, Veronika Mykhailyshyn of the Ukraine, and Yeseul Cho of Korea who automatically advanced after winning the Popular Vote. 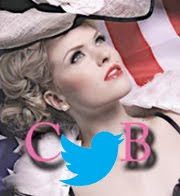 The remaining top 20 candidates included: Dani Fitch of Australia, Merys Navarro of Cuba, Dianne O. Brown of Jamaica, Ranmeet Jassal of Malaysia, Paulina Flores Cantú of Mexico, Ana Bomfim of Portugal, Adriana Sanchez Rivas of Spain, Debora Medina of Venezuela, Nguyen Thi Loan of Vietnam, and Rachael Tate of Wales. Special awards were given to the Bahamas (Best in Swimsuit), England's Cherelle Rose Patterson (Best in Evening Gown), Jamaica (Best in Social Media), and Indonesia (Best National Costume). Some of the early favorites like Brazil, Russia and Colombia were shut out, much to the dismay of their fans. Eight countries debuted this year: Aruba, Bahamas, Iraq, Jamaica, Lithuania, Rwanda, Turkey and Uruguay. The show was hosted by actor Brian White from the hit drama series, "Scandal" and was broadcast live via Channel 7 and DirecTV. Former titleholders Janelee Chaparro and Lees Garcia assisted in the coronation of the winner who receives a brand newly designed crown. The judging panel included MGI owner Nawat Itsaragrisil, MGI Vice-President Teresa Chaivisut, MGI 2013 titleholder Janelee Chaparro and three local personalities. "Good evening everyone. Believe it or not, I would choose Donald Trump. Why? Because the same way that we are all here is to change the minds of people, to share our passion to stop the war and violence is the same way I will share my passion with him. And the same power that he has to stand up for what he believes in is how I will have him stand up to stop the war and violence and change the lives of people together. Thank you." "Okay, you have to promise me that you would react after my first sentence. I would choose Donald Trump to stop the war and violence with me because if we choose him to switch to our side there won't be war and violence anymore. So, I will also make sure that he will read my speeches to stop the war and violence because imagine someone who would bring so much madness and so much emotion from these people. What if we use his voice to actually do good for the world? What if we use that to our advantage? That's why let's keep the peace and let Donald Trump switch to our side to stop the war and violence." How ironic that the pageant, whose platform is to "Stop The War And Violence," has managed to provoke the audience's anger and discord by asking such a polarizing question. Moments before the announcement of the winner, Vietnam was announced as the host country for the 2017 pageant. 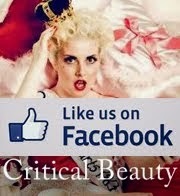 I covered the pageant for Critical Beauty and I must say that I am very impressed with the good quality of the show. The pageant itself unabashedly takes its inspiration from Miss Universe, with its fast-paced production, engaging camera angles, and upbeat music. 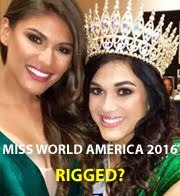 Even the energy in the theater is not dissimilar to Miss Universe which attracts boisterous, colorful and passionate pageant fans. And like Miss Universe, Miss Grand International seems to relish in controversy. A few days before the finals, Miss Iceland Arna Ýr Jónsdóttir withdrew from the pageant after she was allegedly told to lose weight. Her story was picked up by many media outlets which made her an instant celebrity and she is now being hailed a hero on social media by supporters around the world. The original 2015 winner, Anea Garcia of the Dominican Republic, was dethroned (though she claims she resigned) for being too difficult and not fulfilling her duties as a titleholder. She was replaced by her first runner-up, Claire Parker of Australia. Minor low points: Westgate International Theater, despite its state-of-the-art HD video screens and good acoustics, only sits 1,600 people. Members of the press were only allowed to station themselves in the left section facing the stage, which sometimes prevented us from taking decent images of the show, not to mention the big flags waved by fans that obstructed our view. Overall, it was a good show. And the unexpected controversial final question only added to the thrill and excitement. Why isn't that grand?